When you are the archenemy of America's daring, highly trained, special mission force, you have got to employ some of the biggest, baddest and in some cases, craziest individuals and characters into your your ranks in order to have a fighting chance. Now if I were in charge of Cobra’s recruitment agency, I’m pretty sure that a biker gang wouldn’t be anywhere near the top of my to wish list of ideal recruits. If you took a look at the entire original Autobot toy lineup introduced to us in 1984 and was asked to pick out who you thought was the physically strongest of the bunch (aside from Optimus Prime of course), chances are pretty good, that you would pick the wrong one. 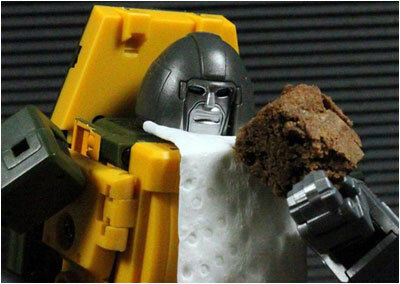 With his toy being one of the smallest, the Autobot Brawn would definitely fit the bill of one who is “more than meets the eye”.